The City of Covington was awarded a $1 million grant to study the feasibility of turning an abandoned water bridge over the Licking River into a pedestrian and cyclist path from Kenton to Campbell County, connecting to the City of Wilder. On Tuesday night, the Covington City Commission will vote to reject the grant. It is the latest roadblock for the ambitious Licking River Greenway & Trail project, a once promising vision to link Covington and Taylor Mill in Kenton County to Wilder and Newport in Kenton County via a multi-purpose trail system that would follow the namesake river for more than a dozen miles. First proposed in 2008 as part of the Vision 2015 10-year plan for Northern Kentucky, the results have been mixed. 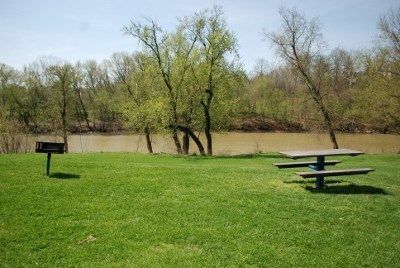 Covington seized the opportunity to utilize its floodwall and riverbank along the Licking for recreational purposes, scoring grant funds to create a widely-used walkway that is dotted with murals, natural scenery, and multiple city neighborhoods. While the water bridge grant will be rejected on Tuesday, the city commission is also expected to approve plans to seek the teams that will construct the second and third phases of the city's portion of the trails. Beyond that, City Hall also has its eye on a fourth phase, when the system finally connects to Newport. But it won't be connecting to Wilder any time soon. The grant, federal funds awarded through the Commonwealth of Kentucky, would have provided $800,000 for the feasibility study while the City of Covington would have come up with $200,000 of its own cash. "It's a bridge in pretty bad shape," said city engineer Mike Yeager, who said that initial analysis of the site prevented the city from even moving forward with a feasibility study of the abandoned bridge. "We looked at it pretty close and it would be in the $5 to 10 million range to get it where it needs to be to make it work." The bridge, which is owned by the Northern Kentucky Water District but is no longer used to transport water, is not a big deal for Wilder's portion of the trail system, either. That city is more interested in moving its share of the trail southward towards I-275 and its famed Town & Country sports complex, city administrator Terry Vance said. "While it seems like it would be a good way to connect and allow for recreation and pass-through between the counties and the cities, I think that by the time you put a floor in - and that's just the beginning - and put an approach on either side that is manageable by bicycle or with disabilities, and whatever protocols you're using for the slope of the ramp (it wouldn't be feasible)," Vance told The River City News. "We met several times and talked about it. It was quite a bit of money just to study it." 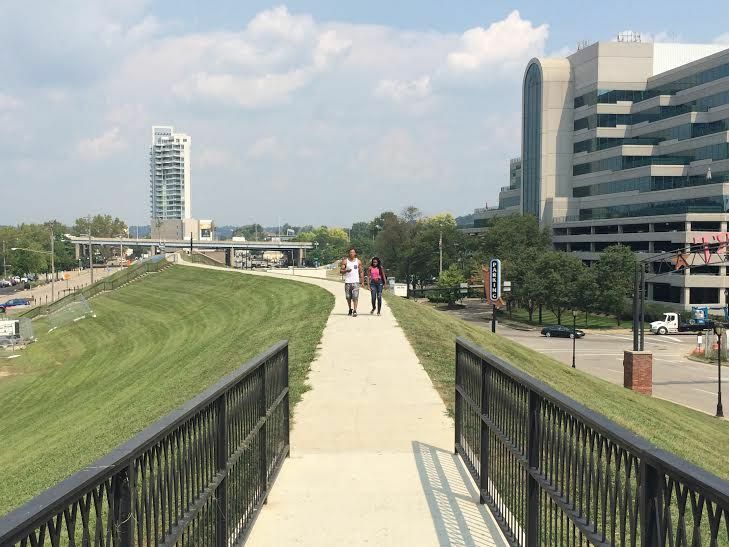 Instead, the city hopes to work on extending its completed trail - which goes from the City Building on Licking Pike to Frederick's Landing - to Interstate 275. Users of Covington's trail could then access Newport via the 12th Street or 4th Street bridges, Vance said. "It's not far off of a bike ride to those places," he said. "I believe the money would be better spent that way." But for Newport, there are no plans at all on the table for anything to do with the Licking River Greenway & Trails. "I had one meeting with representatives for this trail, but no follow-up," said Newport city manager Tom Fromme in an email to The River City News. "My main question was, how would this trail work if it would go through Newport? Based on the configuration of the floodwall along the Licking, the trail would have to be along the roadway." That's not unusual. Parts of Covington's share of the trail system utilizes sidewalks and streets, particularly in Latonia en route to Taylor Mill where the riverbank along the Licking would not be usable for pedestrians or cyclists. What is unusual, however, is that a highly touted regional project that is already partially completed and used in some parts of the four cities, has no cohesive vision or plan. It also doesn't have a regional project manager anymore. The master plan for the Licking River Greenway & Trails, which called out a possible route and potential costs and challenges, was created in 2008 as part of Vision 2015. Last year, that organization created the new myNKY plan and rebranded itself as Skyward. 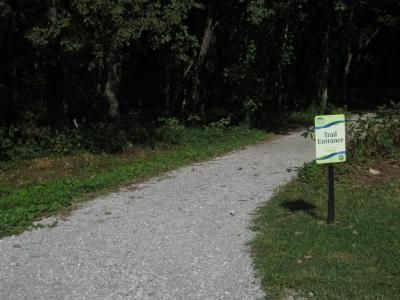 With the change, the Licking River Greenway & Trail plan, which was part of the old Vision 2015 plan, was handed off to the Northern Kentucky Area Development District (NKADD), which has, since the beginning, been the system's fiscal agent. Skyward president Bill Scheyer issued a statement about the challenges the project is facing. 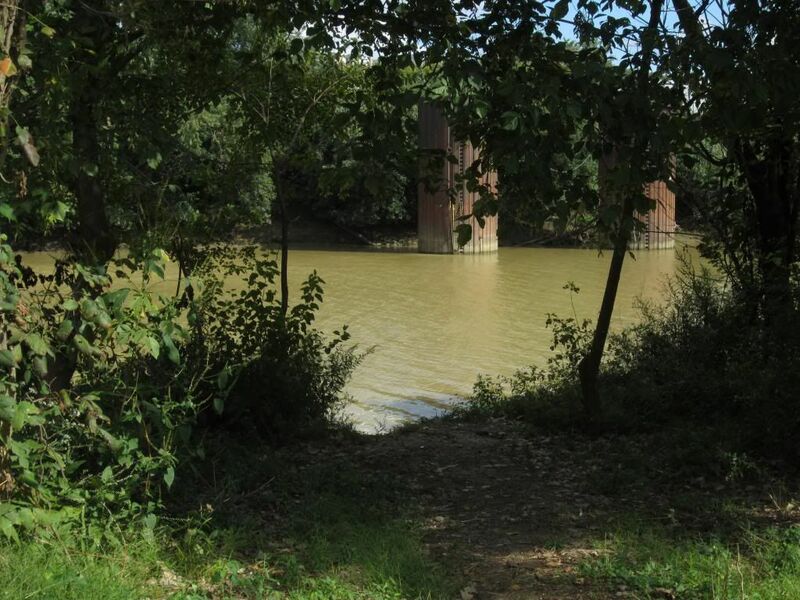 "The water bridge is an important component of the Licking River Greenway and Trails master plan because it provides a direct connection of the Kenton County and Campbell County trail segments, creating a loop for the trails," Scheyer said. "The master plan was designed knowing that the needs of the community would change and that the plan may need to be adapted accordingly. Skyward’s goal for our region is to continually invest in environmental changes, like trail building, that contribute to the overall health of our residents and make the healthy choice the easy choice." But NKADD does not consider itself the new manager of the project, said Lisa Cooper, the agency's executive director. "We have always been working with them and we have always been the fiscal agent for any funds that came in," she said. "We provided support but we have never been the manager of the program. "We are more than happy to be, and we are always happy to work with coalitions." At NKADD, Meghan Sandfoss, the agency's associate director for public administration and community development, is expected to help organize a meeting of all stakeholders such as municipal leaders early next year, to assess where the project is and where it is going. Previously, the project was managed at Vision 2015/Skyward by Kristine Frech, who has since moved to New England. She explained that the original interlocal agreement signed by the cities of Taylor Mill, Covington, and Wilder outlines the governance of the trails in which the cities agree to adhere to the brand standards but also to manage the upkeep themselves. "There was no governing body for the trail system," Frech told The River City News. Vision 2015 helped seek grants, and performed public relations functions, and "made sure people were utilizing the trails," Frech said. "It is each of these cities' responsibilities to implement and manage the trail," Frech said. That was news to Taylor Mill Mayor Dan Bell. His city hasn't touched the project yet. "A couple years ago, they came and presented to us, and the city commission at the time said, we'd love to participate and we'd love at some point, if they every extended it out to Taylor Mill, we could even envision connecting it to our park and making a pathway up to our park," Bell said. So, the city put the trail project in its park plan. "I know most of the work has been done in Covington, so we're just kind of waiting for that part to happen." "We were always interested in it," Bell said. "We think it's a great idea, but it's hard for us to say exactly what out participation is from a monetary perspective to find out who's taking it to what area." In the Licking River Greenway & Trails master plan, there are four cities involved. Now, there are four cities who seem to have their own plans for the disjointed project, and while Covington won't be connecting to Wilder or Taylor MIll any time soon, it is aggressively looking to connect with Newport. 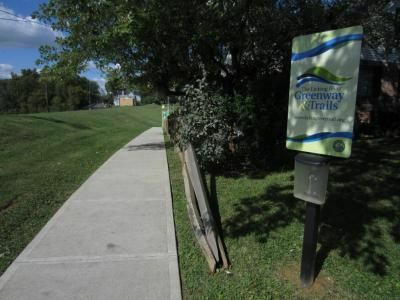 That makes the most sense, said Covington's recreation director Rosie Santos, because of another riverfront trail system: Riverfront Commons, which is managed by Southbank Partners and seeks to connect Ludlow in the west to Ft. Thomas in the east along the Ohio River. "We are releasing the requests for proposals for phases two and three. Optimistically, I'd like to have a ribbon-cutting in the summer for those," Santos told The River City News. Those two phases will connect the trail from the Clayton Meyer Park to Austinburg Park (phase 2) and ultimately to Randolph Park (phase 3), basically from 22nd Street in the south to Eighth Street in the north. "The reason I am trying to get this regional momentum going again is because we need to develop phase four and what Covington envisions as phase four is connection to our Riverfront Commons project because we have money set aside for the trail portion and we are working on the design component." What is lacking, Santos said, is a regional leader for the Licking River Greenway & Trails project, and she will join Sandfoss in organizing a stakeholder meeting early next year. The ultimate idea is to have a multi-purpose trail that snakes along the Ohio, and another that snakes along both sides of the Licking, with each system ultimately integrating seamlessly. And even though Newport has not actively worked on anything related to the Licking side, focusing instead on Riverfront Commons where a couple nodes have been constructed, Kristine Frech said that the expansion of Kentucky Route 9 through the city was done with the forthcoming Licking trail in mind. "It includes pedestrian and bike lanes," Frech said. With that, she said, the trail system can be extended along the road rather than along the river at that part of Newport which tends to be more industrial. Right now, Taylor Mill and Newport view the project as dormant while Covington and Wilder are actively working on it. "We have been putting between $100,000, $150,000 and a year for engineering and pavement," Wilder city administrator Terry Vance said. "We just got past a real difficult section because we had to move a guardrail over Three Mile Creek. It didn't get us much distance but it connected two pieces we had already done. "We're all connected now, but that was an expensive piece." When stakeholders meet early next year, as planned, they will find half their cities not actively engaged in the project, and the other two very much actively engaged but literally moving in opposite directions. Wilder is going south, and Covington is going north. "We're more interested in connecting north to Newport as opposed to Wilder's southern trail system," Covington's Santos said. "We are having those conversations with Newport about the best meeting point for the trail. We want to activate existing trails. We're looking into attracting outdoor adventure recreational enterprises to the area specifically for the purpose of getting people into the mindset that Covington is the urban hub for outdoor adventure." "It's not out of the realm of possibilities that we will connect to Wilder down the road. I just think realistically we have some higher impact goals and we want to spend our money wisely, and saying no to the (water bridge) grant also meant saying no to the city's contribution to executing that feasibility study, so I think we are trying to leverage our dollars wisely."